From ancient days to the present, bamboo is the symbol of good fortune. The exquisite Golden Bamboo Collection, by award-winning Hawai‘i designer Mikel, combines sophistication with superb hand-made craftsmanship. Mix and match this set to your heart’s desire. Three Shimmering Shades of Gold: Rose, Yellow (with gleaming diamond), and White. Matching earrings. This magnificent collection of good fortune truly captures the essence of Hawai‘i. The Royal Palm Collection is a free flowing design in gleaming gold with diamond. A modern take on the iconic symbol of Island Paradise. 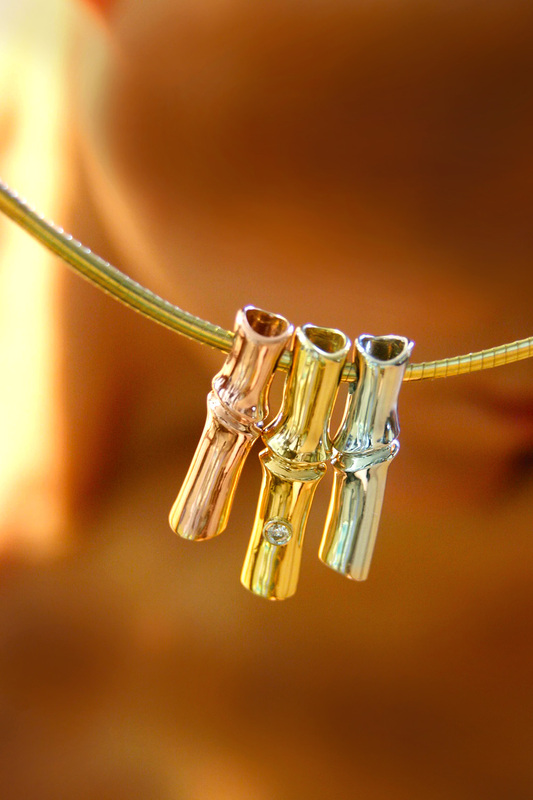 See the entire collection exclusively at Maui Divers Jewelry in Lahaina, Ka‘anapali, Kihei and Kahului Airport. Open daily.